The new Polar OH1 optical heart rate sensor has launched and is now available in our online store! This brand new arm-based sensor is changing the way we train and use fitness technology, and is seen as an alternative to the chest belt. It delivers accurate heart rate measurement from your arm and is compatible to all Bluetooth Polar devices, whether you’re running, cycling, swimming or performing loads of other activities. We’ll be exploring the armband in this blog so read on for more in-depth information and remember to click the buttons to see the product in our store and get yours! Not a fan of chest belts or taking your phone to sessions? Then this is the device for you! With the Polar OH1 you can measure your heart rate from your arm with this one simple and comfortable device. 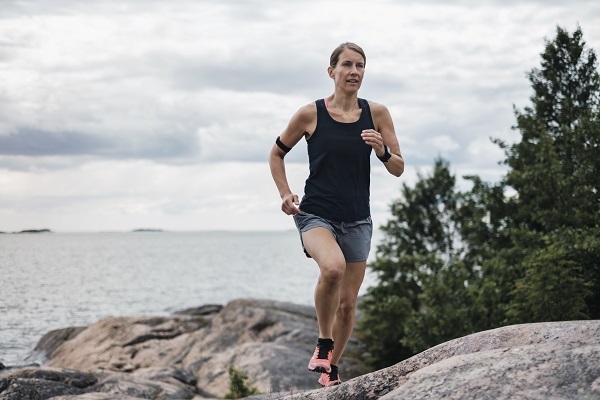 Wearing your HR monitor around your forearm or upper arm is very practical and comfortable and eliminates any potential issues of a chest belt such as wearing a sports bra. The band itself is machine washable so you can keep it clean and fresh easily after use before your next workout session. Plus, you can buy replacement bands for the OH1 in case you need one. 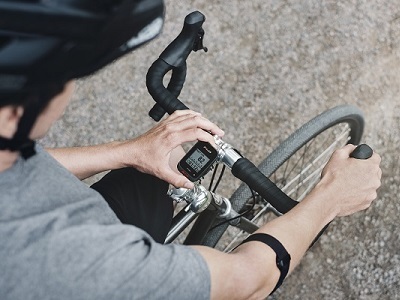 It connects via Bluetooth to all Bluetooth Polar devices, so if you own a Polar cycling computer, running watch or other similar device you can follow your HR on it with the OH1. Similarly you can train using a wide range of apps on your smartphone and send your heart rate to the app with the OH1 via Bluetooth to get a full view of your training and efficiency. Its 200 hour memory will store your data too, so if you’re not around your phone, laptop or watch for a while you can rest assured that all your stats are safely stored for when you next sync it, whether it’s to the Polar Flow app or web service. Get Your Polar OH1 Here!